From $63.32 and Up Custom Door MatSafety MatIndoor / outdoor, carpet mat, custom door mat designed with three color imprint. Features a non-skid vinyl backing and 1″ tapered vinyl border. Your logo is embedded into the carpet as a through and through design, using pre-dyed nylon flock fibers. 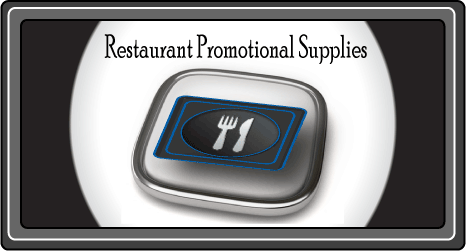 Wholesale restaurant supplies and online restaurant supplies stores are a must in this industry. 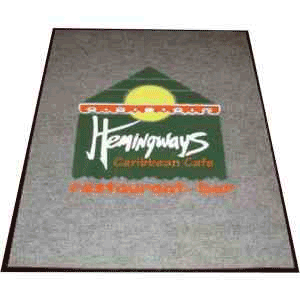 This restaurant mat is a not only a must have for a restaurants first impressions to there customers; but is also a safety product for those restaurants in mid – mild weather climates. Click Buy Now to see details on sizing and pricing. 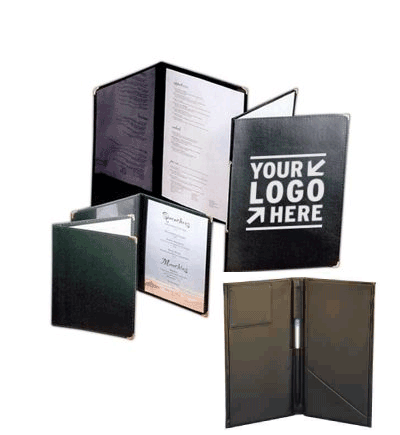 Summit classic 1 panel menu cover with our smooth black 10 point goat grain material lining. Has a traditional look without the heaviness of a hard cover. Clear plastic panels are sewn into the front and back covers. Sewn edges and brass corners complete the elegant look. The cover is flexible with a menu grade covering material on the exterior. 8 1/2″ x 11″ insert size, 9 1/2″ x 11 3/4″ estimated overall size. Imprint: Deboss, Embossing, Foil Stamping, Silkscreen. Restaurant reviews and restaurant supplies Phoenix are important to every restaurant. Great service from the presentation of a menu to the check presentor debossed with your restaurant logo. Restaurant-style poly/cotton twill bib apron. Twill, full bottom pocket with center stitches to form three equal pockets, 1″ wide waist and neck ties, adjustable neck, 22 1/2″ x 24″. Every restaurant needs custom aprons for there staff. 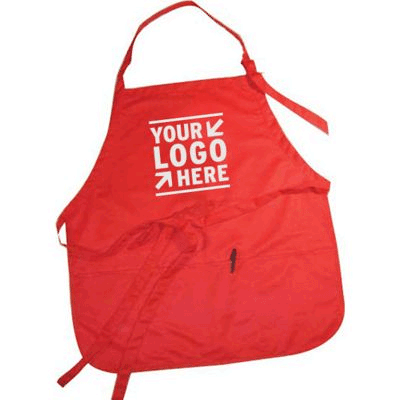 At Precision Graphics we have been customizing restaurant apparel such as; chefs coats aprons, employee shirts, hats, jackets, banners and many more items since 1981. Our staff can many your staff look great. Just like your restaurant has mastered its recipes; like paula deen has mastered her southern cook’n. Precision Graphics has mastered the to recipe of graphics and products on any promotional products for every industry. 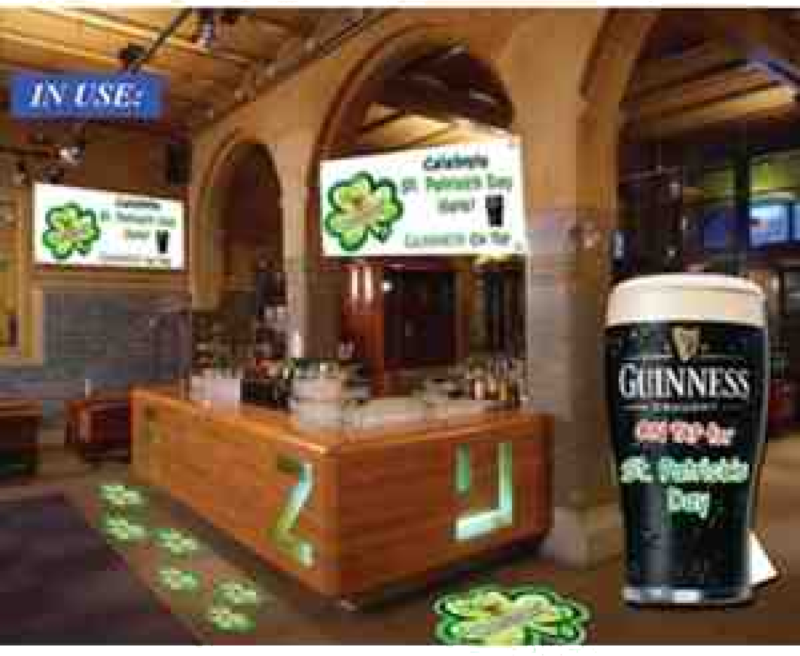 One call to Precision Graphics and we can help with all your restaurant products.